I present you another variant of good cheese. 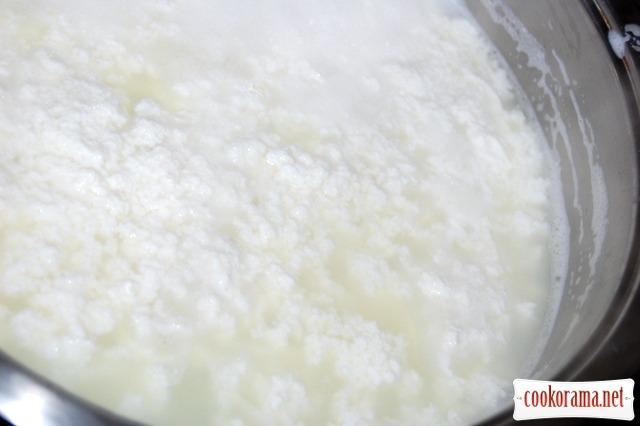 I got this recipe from my mother,which she saw in some newspaper, and today gave me a bag with 4,5 l of milk and said – you should do it. Get the cheese like brynza. " Mom, well, what brynza can go out without enzyme? You're more than once doing this cheese and know it well!" — protested I, but took the milk (well, who refuses from that goodness. And made that cheese today. It`s very tasty. Hard. Cut easily. Grated well. Tastes really like brynza: creaks and has a similar consistency. 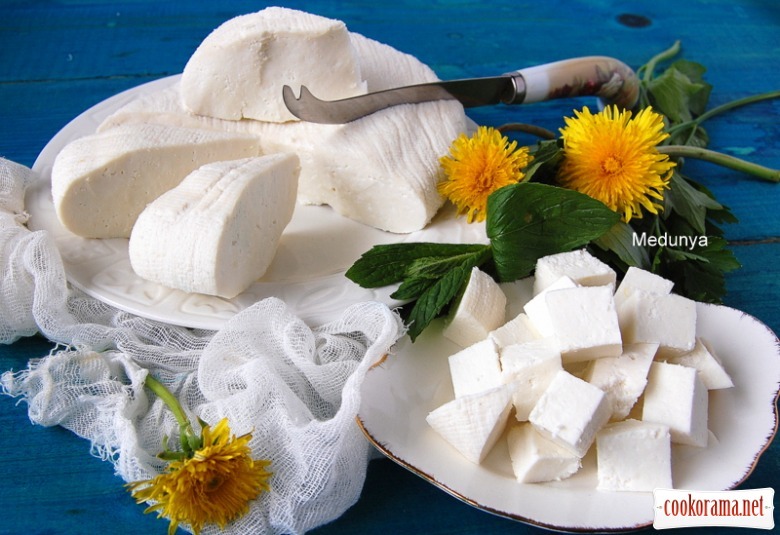 After searching the Internet I found only paneer of such cooking, but with addittion of lemon juice or citric acid solution. Hey, can someone tell me what cheese I have? 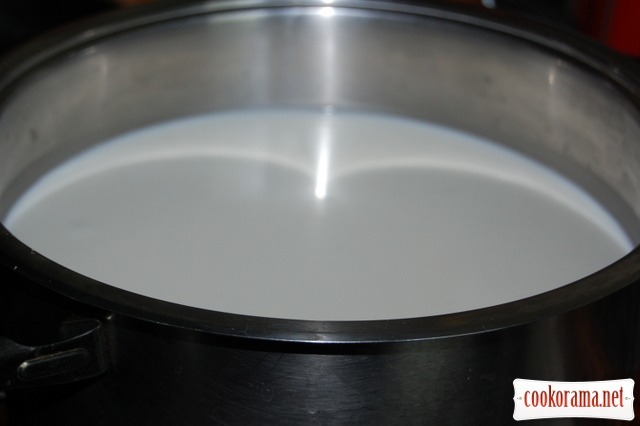 To prepare cheese, wait for milk to boil. 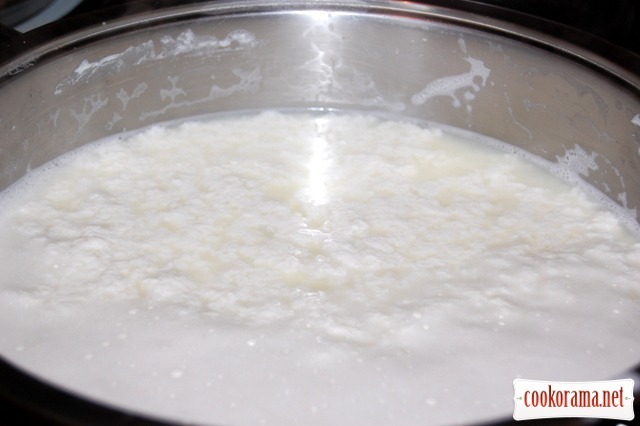 After boiling – add salt and pour vinegar, stirring with a spoon. From clumps will separate greenly-transparent liquid. Cheese then strain through 2 layers of cheesecloth lined in colander. Tightly tie in that same gauze. On the top put plate with weight (I put a liter of water). Let it stay like that for 2 hours. Ready! 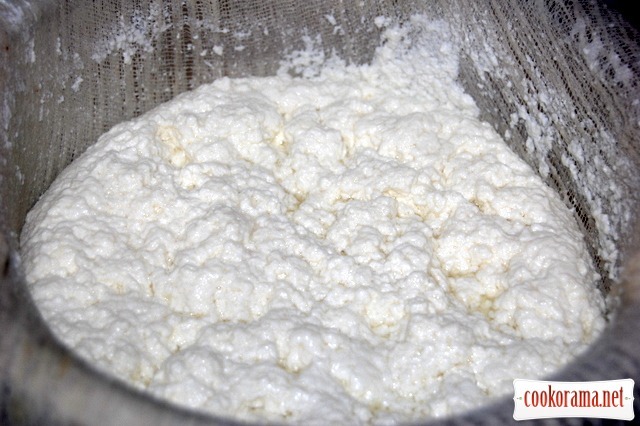 After keeping in fridge for a few days cheese will become harder. Taste is beautiful. Not sour at all. Salted enough. 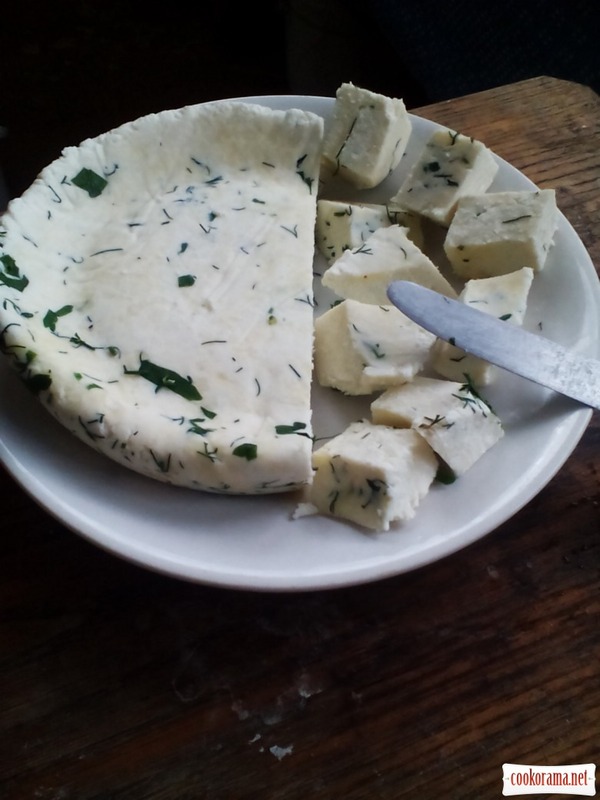 This cheese worth your attention. 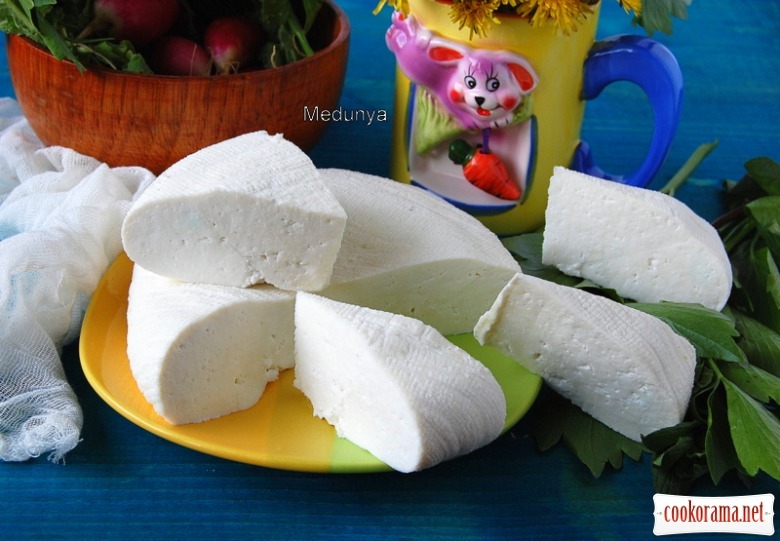 Top of recipe "Paneer in Ukrainian"